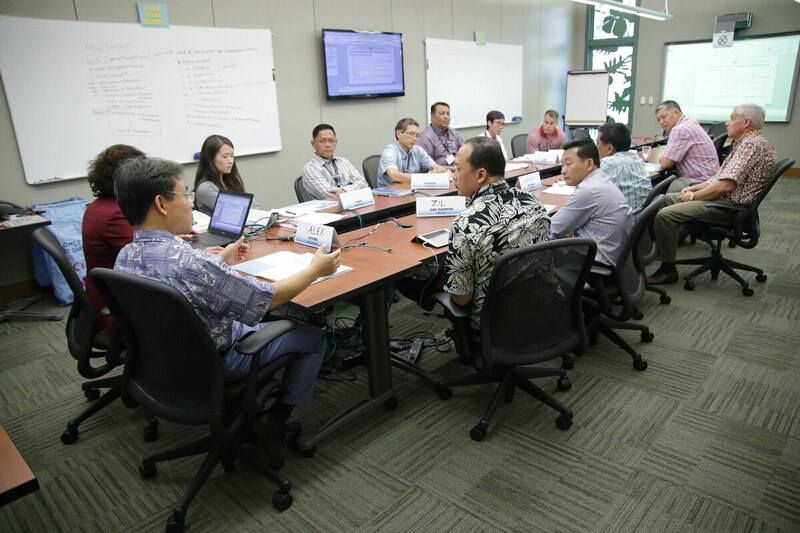 Exploring lessons learned from case studies, participants in the May 16 to 19 maritime domain awareness workshop at the Daniel K. Inouye Asia-Pacific Center for Security Studie, worked toward establishing common objectives for increasing information sharing among Southeast Asian nations. The workshop focused on building capacity to combat illegal, unregulated and unreported fishing. The event supported the U.S. Department of Defense's Asia-Pacific Maritime Security Strategy. Despite the importance placed on allies and partners, one factor hindering joint operations between the United States and key coalition members is restrictions on information sharing. This issue breaks down into a few separate yet interconnected trends surrounding the over-classification of materials, the need to protect certain secrets while sharing others with the coalition and cultural schisms, to name a few. "We need to rethink the questions that we've been asking about information sharing with our allies and partners as long as our commander in chief is telling us that our strategy is by, with and through our allies and partners," Air Force Chief of Staff Gen. David Goldfein said during a July 20 Air Force town hall. Goldfein asserted that folks are typically asking the wrong question concerning the classification of information. "Most of us have grown up in an era where the question we ask is: What can I share? It's the wrong question. The question we ought to be asking is: What can't I share and why?" he told attendees. The four-star expressed the need to "get out of the easy button approach," or choosing the classification secret NOFORN — meaning no foreign nationals can view the information — because "once you go there, there's no coming back." "We've got to get in the business of information sharing and demand a command-and-control system that allows coalitions to actually operate together in the future," he said. Secret NOFORN has "got to be the exception," Lt. Gen. Ben Hodges, commanding general of U.S. Army Europe, said via video teleconference to an audience gathered at TechNet Augusta on Aug. 2. "All you've really done is transfer the burden of potential breaking of the law to a subordinate that's going to be out in the field with an ally and is probably not cleared for a secret NOFORN. ... The policies ought to reflect how we're going to operate." Hodges said that a good portion of the information classified as secret NOFORN or secret doesn't need that classification. "It makes it very difficult to operate collaboratively in a multinational environment," he said. Unless you're at Fort Irwin, a training facility for Army electronic warfare forces, he said, you're never going to be by yourself; you're always going to be with allies. Similarly, Lt. Gen. Robert Otto, deputy chief of staff for intelligence, surveillance and reconnaissance with the Air Force, said at an AFCEA NOVA luncheon last spring that, in his opinion, "the biggest challenge we have right now is when we fight a war, we fight it across top secret information, secret information and unclassified information." The challenge of getting highly classified information to war fighters on the front lines is that many times coalition partners are operating alongside U.S. soldiers, and while they might be our friends, they do spy on U.S. activity, according to Otto. Defense officials want to limit the amount of top-secret information viewed even by coalition partners, he said. For some NATO partners, keeping pace with American military operations can be a challenge. One Canadian colonel on exchange offered during the TechNet Augusta conference that when talking about interoperability and considering the equivalence of the Canadian service, they aren't there yet. When one looks at the Five Eyes, he said — the Five Eyes being an intelligence sharing alliance between Australia, Canada, New Zealand, the United Kingdom and the U.S. — America is going to be far ahead, and Canada will discover its people will lose access to U.S. tactical operations centers. While noting he is not part of the convergence team, Lt. Col. Chris Walls, deputy doctrine chief for the Cyber Center of Excellence, said that it's important there be "coordination with unified action partners." Now it may be that there’s areas, rings within the command node, but they definitely have taken on that it is a key requirement to have coordination between unified action partners. "But he added that defensive cyber operations and Department of Defense Information Network operations are easier to share among partners as opposed to offensive cyber operations. "As we get into [offensive cyber operations] … it becomes more difficult." "Five Eyes [are] pretty good," he said. "We've got pretty tight relationships at the Five Eye level and are able to share pretty broadly." NATO integration will be the next step, he added. 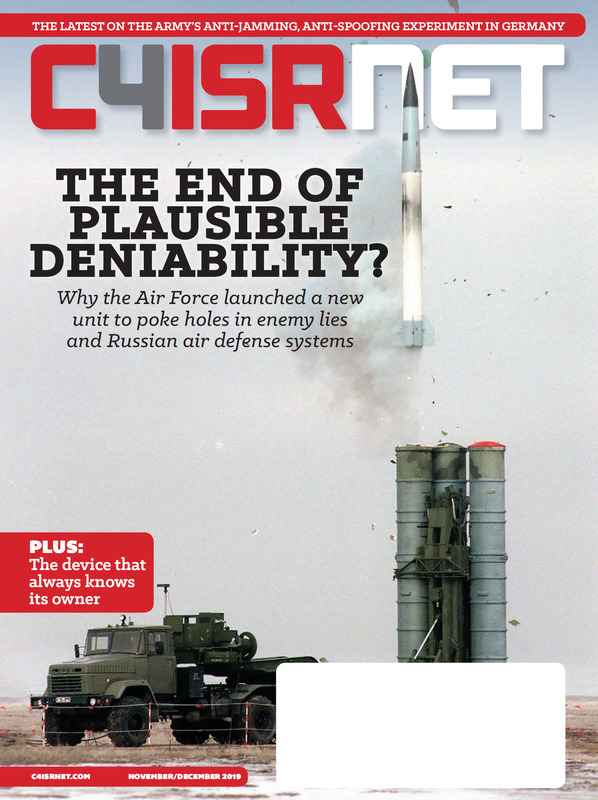 "The reason that the defensive side of cyberspace operations is easier to collaborate with our partners on is because that type of information has been traditionally seen as unclassified or unclassified [for official use only] type of information and it's much easier for us to work at that level on the defensive side," Walls told C4ISRNET. "The issue with the other types of capabilities is the classification is pretty high and there's not the national policy to support the sharing of that information. Now, if you've been watching some of that over the past two years, I'm sure you've noticed that those policies have been getting updated and we've started to share much more broadly." A common operating picture would "absolutely" help in this space to be able to communicate effectively with unified action partners "on exercises over in Europe; just communicating digitally at classified levels is a challenge," he said. DoD Chief Information Officer Terry Halvorsen has also discussed some of the cultural problems related to sharing information with mission partners. "It does me no good to have — at DoD — the best DoD information sharing system if I cannot share that better with allies. That's more cultural than it is technology," he said in June during a keynote speech at a FedSccop event in Washington. According to Halvorsen, countries prefer to use indigenous technology for information sharing and storage. There's nothing wrong with that, he said, but the goal is still to figure out a common system. Providing legislators a vignette of sorts, Halvorsen outlined what DoD's move – and the move of others globally – to the commercial based cloud could look like. "We're not going to be able to do this at, say, a U.S.-only-based system," he told the House Armed Services Committee in March. "Other pieces of our allies couldn't afford that, and it's not what they're going to agree to do. So basing this on a commercial set of technology that also uses commercial classified technology would allow us to — in the cloud — put together a virtual network." Halvorsen provided a hypothetical example to lawmakers of a natural disaster situatoin that involved coordination with nontraditional partners such as China and Cuba. "We could actually stand up a network once we get some of the technologies in place that would allow data to be shared, and let's say we want to share data with China, we want to share data with Cuba but not exactly the same data," he said. "We could do that on a network with the right protections to protect the data that we need, using almost commercially available technology today — there's a few pieces that have to be done but I'm, no doubt they will be done by the end of this year."